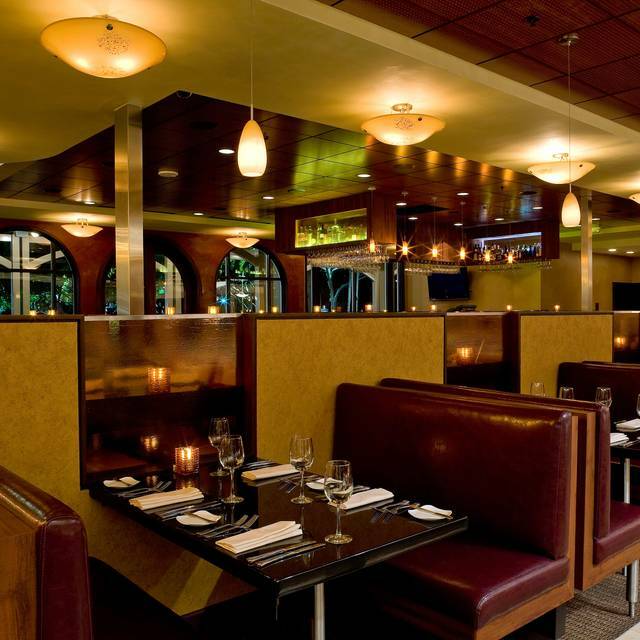 You must make reservations at least 5 minutes in advance of the time at M Waterfront Grille. Happy Hour 4 p.m. - 6 p.m, Every Day. 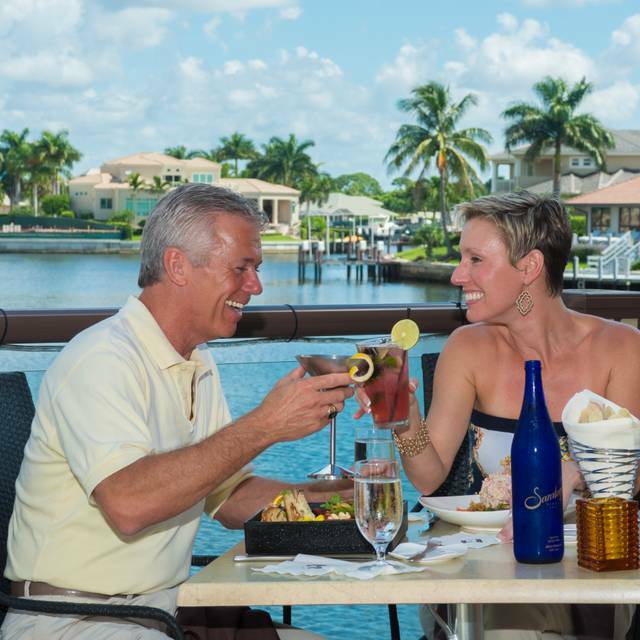 Wine On Wednesday 4 p.m. - 6 p.m.
M Waterfront Grille is located at the Village on Venetian Bay, which is an up scale shopping venue. Plenty of parking for shoppers and M Waterfront Grille guests. Complimentary Seasonal Valet is available during peak season months. 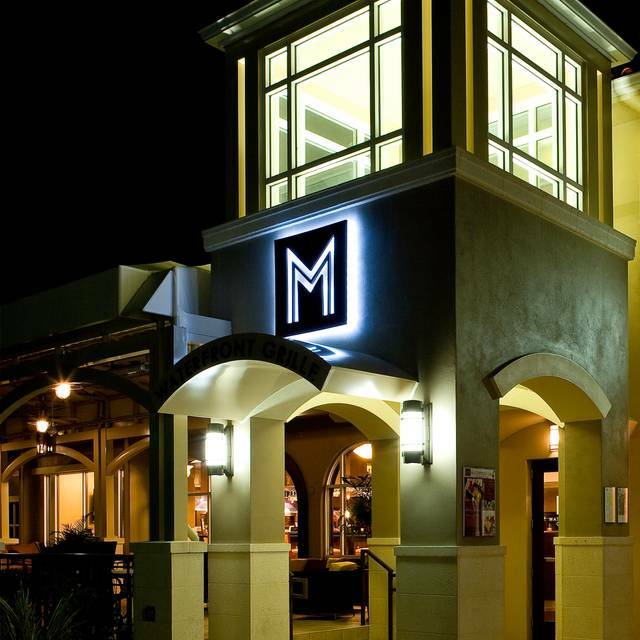 Music starts from 5 p.m. until 7 p.m.
Music Starts from 11 a.m. to 2 p.m.
M Waterfront Grille dining at its very best, M Waterfront Grille offers contemporary cutting edge American cuisine with the accent on Florida Fusion, seafood, steaks, organics and pasta. The Village on Venetian Bay provides the scenic backdrop for both indoor & outdoor dining for lunch, dinner and our award winning Sunday Brunch. Minutes from the Artis of Naples, M Waterfront Grille midtown location is conveniently accessible to all the major hotels and resorts. 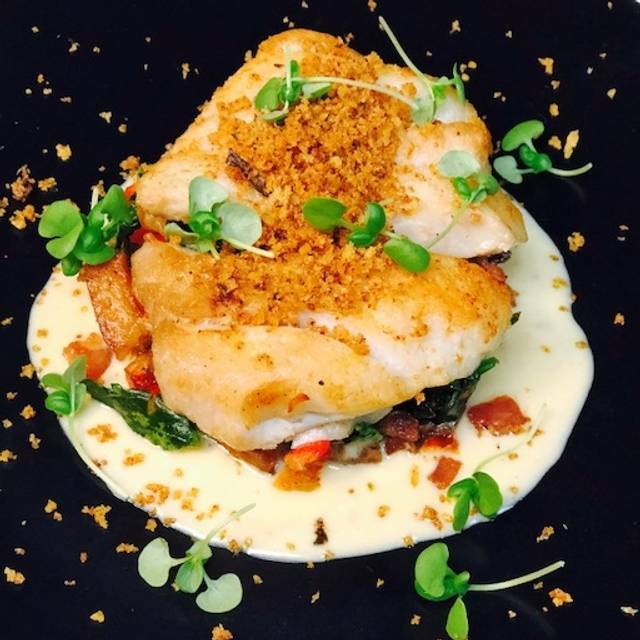 Award winning menu items served with a friendly, accommodating attitude reflect the independently owned and managed restaurant's philosophy – "Our guests deserve the best – it's our business to make that happen. 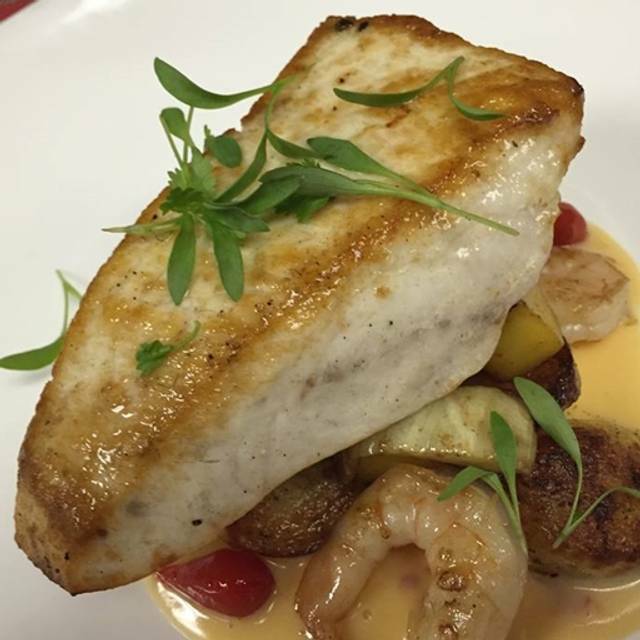 Voted one of the BEST Naples Restaurants. Member of Naples Originals. We are serving our dinner menu all day 10am-8pm. We will also have brunch features 10am - 2pm. We did not get the table I requested, window water view. There was one available, hostess was not a warm person, a little annoyed when I suggested the open table. I will return, and I would recommend. On the whole a very good experience. We have been to M Waterfront for Sunday brunch, and also for lunch. Both times the service was amazing, food was delicious, and sitting either at the window or outside each time was lovely. This is definitely on our list of favorites! From start to finish dining here was an excellent experience. Started with a simple tomato and mozzarella salad with pesto, figs and pecans. Yum! My husband had the spring rolls and they were excellent. Veal and shrimp and the sea bass were our dinners very good. A must have dessert are the donuts, fresh made and to die for. Needless to say we will be back to this special place. We are in town fo a wedding and we were celebrating another engagement . I made the reservation on open table and called to request a water view outside . This was granted . It was a little warm , we had fabulous service from Marco, whom has been with the restaurant 12 years . Good food. Good cocktails. Good service. Nice ambience. Love their Happy Hour! And the Shrimp & Crab Springroll is iconic! It was a great place to celebrate a birthday. Delicious. Great service. Sea bass and lobster tortellini excellent. Food and service are always 5 star. We enjoy taking friends there as they are always impressed. Great restaurant for a special occasion. Staff was friendly, knowledgeable with the menu and attentive. Will definitely be back. Always great service and high quality at M Grill. Lovely to dine over the canal. Great table facing the beautiful water! Had the Lamb shank it was Fabulous!! Always great service and great food. Very accommodating for table requests. Waiter very attentive and accommodating. Sat at table on time, no wait time. Easily could have a conversation, very quiet for size of room. As always, consistent with very, very good food and service. The staff is responsive and friendly. It’s one of the best in Naples. All four of our guests really enjoyed their food. My husband and I are already big fans of yours! M Waterfront Grille was great! Loved the view! Food was wonderful! Great restaurant! Had the Beet Salad with Fried Cheese & Grilled Chicken in a Pistachio Vinaigrette. Would definitely go back. Very nice evening for a special occasion. We all loved our food and service. We were accommodated for 10 people, everyone enjoyed their food. For people with fish or seafood allergies there was a limited choice especially when fried food is done with the fish. The server was excellent about separate bills and staff was efficient. Ladies night out. We had terrific service and all four meals were excellent! I’ll be back! I thought it was good. We went for a nice dinner and got one. The food and service was wonderful. The ambiance was beautiful, the water was very calming. Everything was amazing but the menu was a little limited. At the beginning of the meal they gave a delicious tomato bisque and at the end they gave a chocolate truffle. They were both on the house and it was a great way to start and end the meal. It was my Husbands birthday 3/31. We were a party of five. Everything was perfect! Service was wonderful, food was delicious, ambiance was lovely. We were there early so not much noise. We will be back!! Always a pleasure to visit M. Good menu and value. Everyone likes it so we will keep coming. Just dont run out of the short rib entree. And bring back the swordfish with lemon butter caper sauce. Great place for unlimited Bellinis and brunch on a Sunday morning. We chose M to host some out of town friends and we were not disappointed. They were genuinely impressed and had a lovely time. 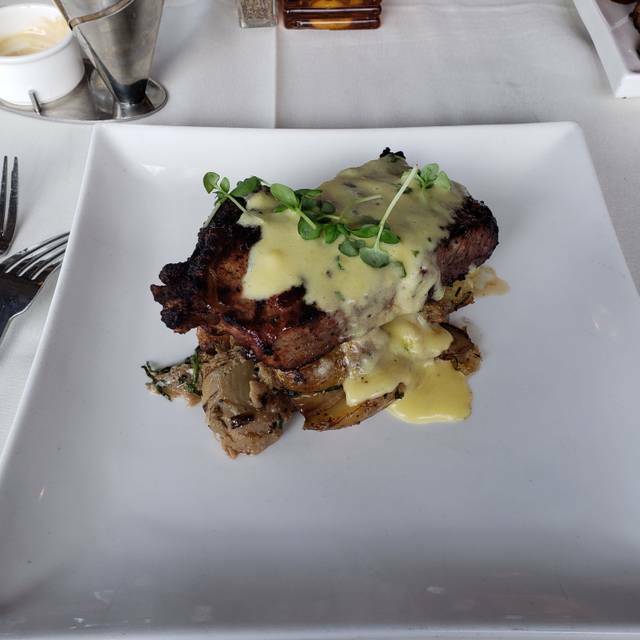 The service was exceptional and the food was delicious. Many of us were not donut people but upon the servers insistence, we ordered them and we were glad we did. They were amazing, we couldn’t get enough. 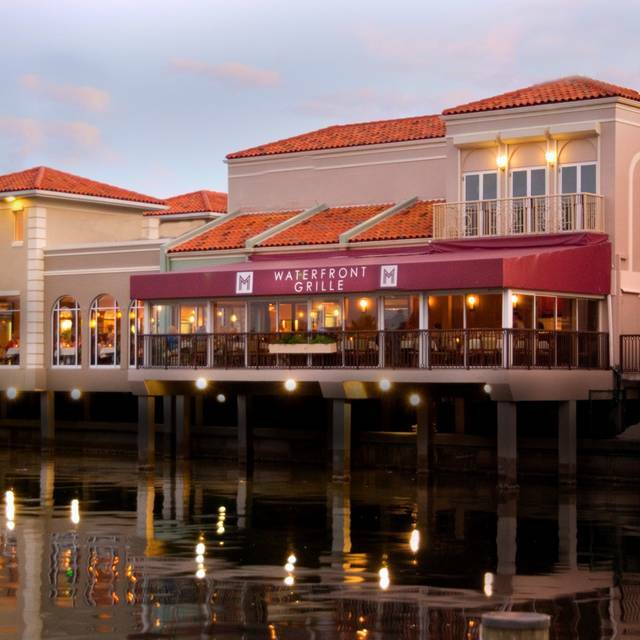 M Waterfront Grille is hands down one of our favorite restaurants in Naples. We have been coming for years and we have always had an excellent experience. We have celebrated the occasional holiday when it is quite full, had guests during high season or just enjoyed an evening out on our own when it’s a bit quieter. 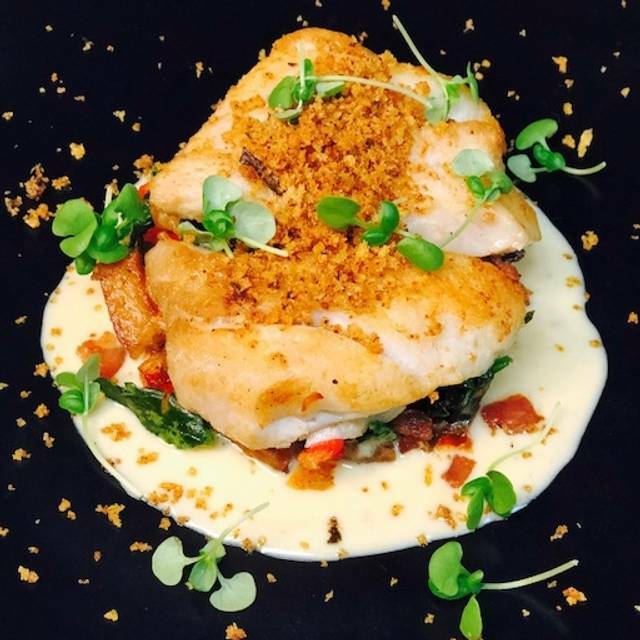 Every time the staff has been friendly, professional and attentive, the kitchen delivers thoughtful and quality dishes and inevitably a manager will stop by the table at some point. This visit did not disappoint, the other couple we brought thought it lived up to our recommendation and we had a delightful evening. Look forward to our next visit! Service by Nevana was too fast. We ordered drinks and after ordered an appetizer but waited on our entrees. Appetizer came out right away. Then we placed our order which we said we wanted to take our time. Entree’s came out and we were now done in 45 minutes total! We have been a number of times this season. Count us not coming back and we will unsubscribe to your email’s. Marco was an incredible waiter. We had a wonderful evening! A fantastic delicious experience! The food was similar to that in top restaurants in Europe. This is clearly our first choice in Naples and I always recommend to friends with visitors in town. The food and service here never disappoint. Our Crab and shrimp spring rolls were full of tasty shellfish, crispy and topped with two delicious sauces. Te amuse bouche was their wonderful tomato basil soup with a mini grilled cheese sandwich. So flavorful. My scallops were perfectly cooked and my wife's Golden Corvina was delectable. All the sides were delicious. The service was wonderful. Our waiter took good care of us without being intrusive. We love the way all the staff steps up to assist the servers with getting the meals on the ables and clearing up as well. Lovely atmosphere, good food, excellent service and fantastic customer service.